Boeing forecasts orders from China to triple over the next 20 years. Boeing plans to triple its China fleet over the next 20 years in a move that steps up pressure on rival Airbus, as the two jostle for control of the high-growth Asian air travel market. In a statement Thursday, the world's largest aircraft maker said it expects orders for 5,580 new airplanes in China over the next two decades, valued at $780 billion. Boeing said strong economic growth and greater access to air travel will spur traffic to rise by nearly 7% each year in China. The biggest revenue boost is expected from sales of single-aisle planes, which are used for domestic tourism and pan-Asia travel. The bullish predictions come in what has been a rocky year for Boeing. The company has faced operational and reputational crises, including the crash landing of Asiana Airlines Boeing 777 in San Francisco in July. 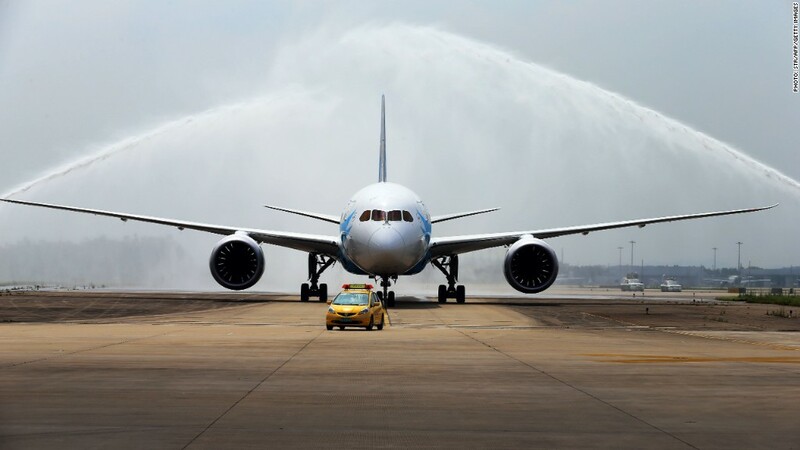 Problems with overheating lithium batteries led to the grounding of Boeing's full fleet of 787 Dreamliners in January. Boeing's plans to dramatically boost its China fleet issues a challenge to rival Airbus. The European company, which is part of aerospace group EADS, currently has a 950-aircraft China fleet. In September 2012, Airbus forecast it would deliver 4,270 aircraft to China over the next 20 years, valued at $630 billion. That's shy of Boeing's latest projections, but revised figures are due out from Airbus later this month. "I wouldn't expect the [new] number to be lower, given that traffic is increasing and China is one of the fastest growing markets in the world," Airbus spokesperson Justin Dubon said.